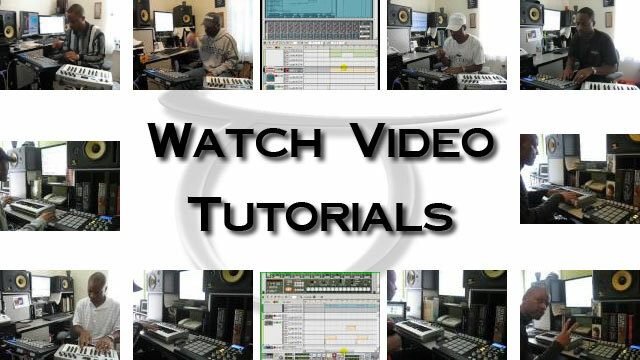 TaurusBeats shows How To Flip A Sample with Akai MPD32 and Propellerhead Reason making the sample flip beat Soul On Ice. TaurusBeats shows How To Flip A Sample with Akai MPD32 and Propellerhead Reason making the sample flip beat Soul On Ice. I am also using the M-Audio Oxygen 8 v2 USB/MIDI controller to trigger the instrument devices in Reason (piano, strings, etc.). Here I am making the Soul On Ice sample flip beat, smooth jazz piano instrumental. What I am calling a sample flip beat is actually more of a smooth jazz instrumental song. because I end up performing impromptu, improvised piano parts over the finished beat. Why "Soul On Ice"? I had just completed reading the book, Soul On Ice, by Eldridge Cleaver. You can see the book in the video next to my computer display monitor. I started out with the sample and trying to figure out how I was going to use it. At first, I was going to do a hip-hop track at around 94 beats per minute, but while playing with the sample, I was hearing a faster tempo with a piano solo. So, that moved me into the contemporary jazz genre. The video doesn't capture me recording the piano solo. I don't pre-write the piano parts (or any parts), it's all improvisation with me just playing what I feel from the track by ear. It's all about being in the moment. If I have to think about setting up the camera, I'll never get the solo down. This is one I would love to have guitarist, Curtis Price, play on. Maybe one day soon. Now you can Look, Listen and Enjoy! Sign up for free and listen to and download the finished sample flip, piano instrumental.